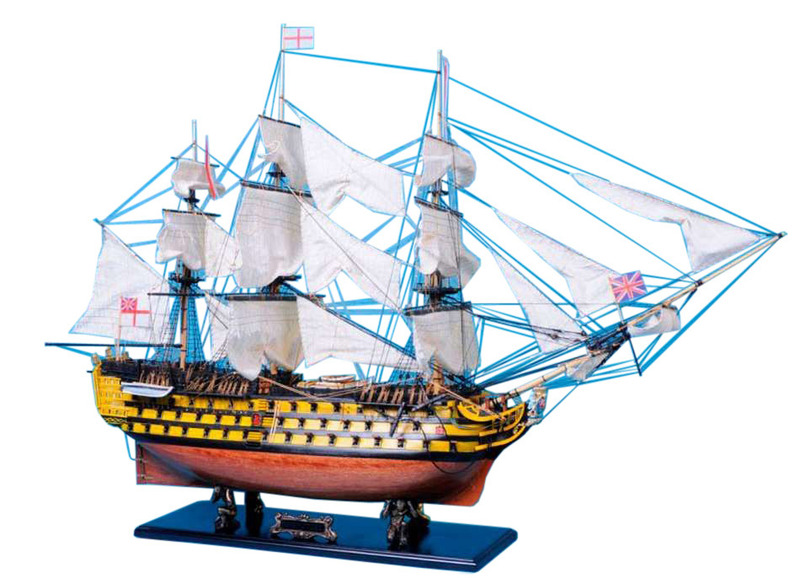 Truly capturing the pride and magnificence of Admiral Nelson’s flagship at the Battle of Trafalgar, this Limited Edition scale replica model tall ship sails proudly as the indomitable flagship of the HMS Victory fleet. 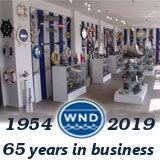 Brimming with museum-quality features, this tall ships model of the world’s oldest commissioned warship evokes the spirit of her namesake through devoted attention to historical accuracy and the finest of craftsmanship. A commanding centerpiece for any boardroom, office or den, HMS Victory will inspire a victorious determination with her historic patriotism and awe with her exquisite design. HMS Victory was launched in 1765 at Chatham Dockyard and was commissioned in 1778. She continued in active service for the next 34 years which included her most famous moment-the Battle of Trafalgar in 1805. In 1812 the Victory was retired from frontline duty and anchored in Portsmouth Harbour, on the south coast of England. For the next 110 years the Victory remained at her moorings in Portsmouth Harbour fulfilling a combination of practical and ceremonial roles. In 1922, amid fears for her continued survival, the Victory was moved into Portsmouth's Royal Naval Dockyard and placed in No2 Dry Dock. Work then began on restoring the Victory to her 'fighting' 1805 condition and continues today. It took over 800 men to crew a ship like HMS Victory. Take a look at these pages to find out more about the roles some of the men held on board. HMS Victory was a First Rate Ship of the Line. This means that she had to have at least 100 guns-in fact at the time of Trafalgar she had 104. Ships like HMS Victory did not have 'cannons' at sea these large weapons are always known as guns. Sailors also had small arms such as rifles and muskets. Her Majesty’s Ship Victory is the only surviving naval warship that represents the skill of naval dockyard shipwrights, ship designers and the industrial ability of Britain during the mid 18th century. Besides her historic role serving as Admiral Lord Nelson’s flagship at the battle of Trafalgar, the Victory stands in the line of technical advances made between the 16th century Tudor warship Mary Rose, the Victorian built iron warship Warrior of the mid 19th century and the steel built monitor M33 of the early 20 century. As Victory has been commissioned for over 200 years she has had many Commanding Officers and Flag Officers. All ships have Commanding Officers, they are the captains and are responsible for that particular ship and its crew. Flag Officers are Admirals and are in charge of whole fleets of ships. They have a Flagship from where they command their fleet. HMS Victory is the flagship of the Second Sea Lord.